A Theology of Religious Change asks a simple question with a complicated answer: Why do people change religious faiths? The study invites its readers on a trek through sociological and psychological literature that suggests many causes of religious change. Moving beyond a mere catalogue of motives for conversion, the author explores how a theological account of conversion and the doctrine of election can be broadened, strengthened, and reformulated in light of the complexity of faith's human side. This book seeks to guide pastors, church workers, and theologians in their task of communicating the message of good news effectively by drawing attention to the diverse factors influencing religious change. 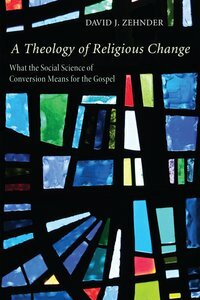 About "A Theology of Religious Change"